For sale are two great condition with boxes Sega VSHG Virtua Stick High Grade dual modded with Akishop's PS360+, modded by Kyokugen (Dave). Tournament Announcements / Re: Any registered players considering not attending OHN? In for Vindk8's NBA Jam tournament. Here is my good condition Hori VLX that has been dual modded for 360 and PS3. Auto detects what console it is when you plug it in! Included is the original box, original cleaning cloth and original USB end cap. These VLXs are not being produced anymore, grab it while you can. Sydney pick up preferred, as the stick weighs a ton and the box is massive, postage costs would be around $50-60 to other states. Only downside is that it has scratches where people's wrists lay. 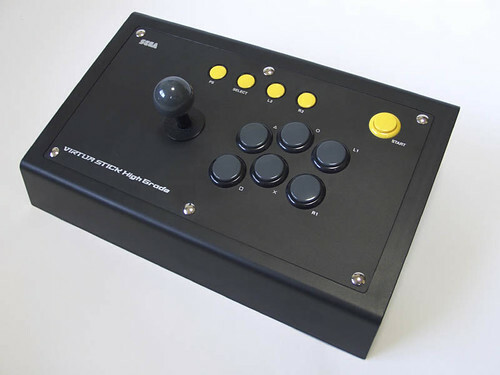 Random Discussion / Re: Brand new Hori VLX or TE? I believe the VLX was a limited run product. Will Azuzu/Ayinash/Insert weeaboo nickname here mentioned to me he'd be your UMvC3 partner. Hit him up! You sound a little hostile, bro. Does it matter who he used? He placed top 8, I think that's grounds for "achieving something". Pretty sure Moca placed 4th in MVC3 at OHN9. Tournament numbers never lie, we'll see if the FGC decide if it's tournament worthy or not. I think the jokes on you ToXY cause this game was a joke from the very beginning. Ali I highly commend your decision. Ostensibly I think SS should also allow gems, just to stick it to EVO.